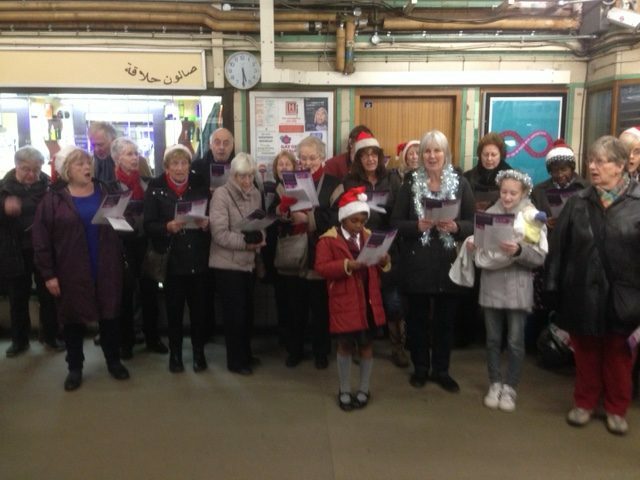 Many thanks to all those who attended one of our three carol singing events at Rayners Lane, Uxbridge and Harrow on the Hill Underground Stations in December 2018. We collected around £1,500 altogether and we hope that we managed to bring some festive cheer to shoppers and commuters as they travelled through the stations. Our grateful thanks to Transport for London for allowing us to collect on their properties, and to all our singers and musicians who did such a marvellous job. A big thank you to all who supported our recent Bridge Lunch on Wednesday 24th October which this year returned to Pinner Hill Golf Club. We are most grateful to Brian Eisenberg who was our Tournament Director and to all those who worked behind the scenes to ensure that the event was a success from start to finish. In particular thanks to Trudy Segal, Bobbi Riesel, Wendy Williams, Ruth McNeil and the very helpful staff at Pinner Hill Golf Club. The results of the tournament can be found here Bereavement Care Bridge Lunch 2018 Scoresheet. A very successful Bridge Lunch was held on 18th October in the delightful setting of Moor Park Golf Club. Thanks to lots of people, not least Michele Lussagnet, Ruth McNeil, Bobbi Riesel, Trudy Segal and Wendy Williams, both in the planning and on the day itself. We are also indebted to Moor Park Golf Club for their support and permission to hold our fund-raising event at such a prestigious venue, and for serving a delightful lunch and refreshments during the event. This is the first occasion that we have held our Bridge Lunch at Moor Park Golf Club and we hope that it will not be the last. Finally, a big thank you to all our Bridge players who so kindly supported us on the day. Sincere thanks to all who donated children’s toys and games for us to sell at the Pinner Village Show on Saturday 9th September. The winner of the £25 Voucher for John Lewis/Waitrose in the Treasure Hunt was Ann Elder from Pinner, who correctly identified the treasure as being hidden in the Southern edge of Mad Bess Woods. Many thanks to all who visited the stall, and of course to the volunteers who helped on the day. Christmas is all about having a good time and bringing joy to others. So it felt on the concourse at Harrow on the Hill tube station on the evening of Wednesday 14th December when twenty five intrepid supporters of Bereavement Care came together to form an impromptu choir. Commuters returning from work were delighted to hear the strains of “God Rest Ye Merry Gentlemen” or “Jingle Bells” wafting up the stairs as they came through the barrier. Many stopped to take photographs of Father Christmas and his crew or to video the carol singing. People of all religions stopped to listen or to put something in the Bereavement Care bucket. In all £882 was raised thanks to the generosity of the travelling public. Normally Bereavement Care’s motto is “In times of grief, it helps to talk” but for the evening of the carol singing, it is more likely “In times of grief, it helps to sing”! The most popular songs ranged from the secular (“I’m Dreaming of a White Christmas”) to the religious (“Once in Royal David’s City”) but all had a good time singing and handing out Bereavement Care leaflets until the time came when not another note could be sung and it was time to disband. All aboard for next year? Huge thanks to our hostess and host, Najla and Bassim, for allowing us to hold our Enchanting Evening at their home. 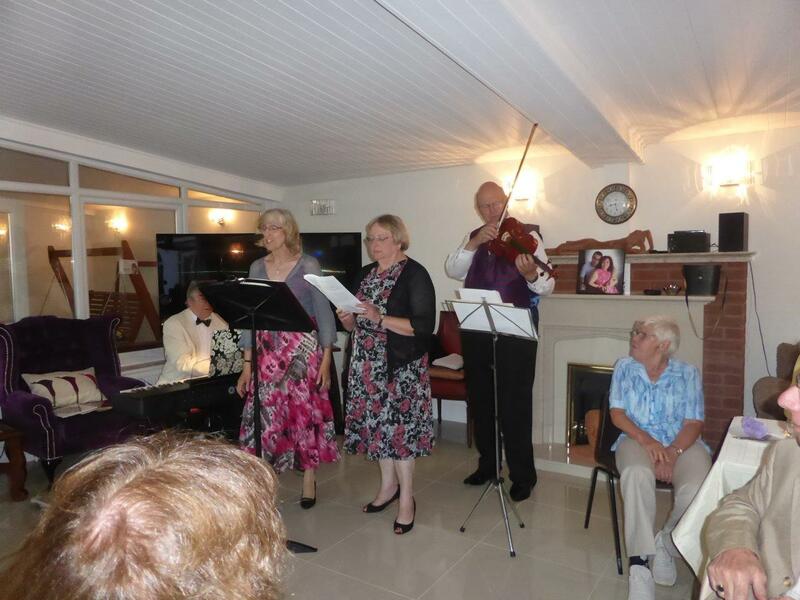 The setting was delightful, the music enchanting and the food was plentiful and delectable. The delicate music provided by Lynne, Glynnis, Keith and Peter perfectly complimented the end of a stunning evening as the sun set over the distant trees. How fortunate we are to have such hard-working volunteers, with Bobbi and her team of caterers – but most of all to those who came along to support the event and thereby our charity – enabling us to continue to provide trained bereavement visitors to those who ask for our services. Huge thanks to Transport for London / London Underground Limited, Jenny, Ruth, Santa & Mrs. Santa, our Tenor Sax and of course to our choir members – some who came from our member groups … and some members of the public who just came and joined in for a carol or two. We gave out approximately 500 leaflets explaining what we do … and afterwards, received this lovely e-mail from one happy commuter. 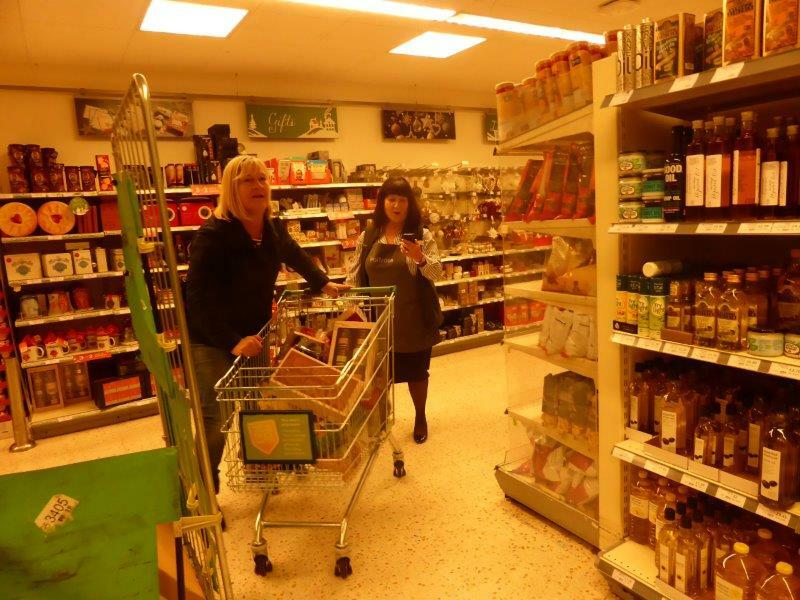 The Trolley Dash took place at Waitrose- Kings End, Ruislip on Sunday 29th November 2015. The tickets were on sale at the store from Monday 16th November, with the draw taking place on Sunday 22nd November at 4pm. 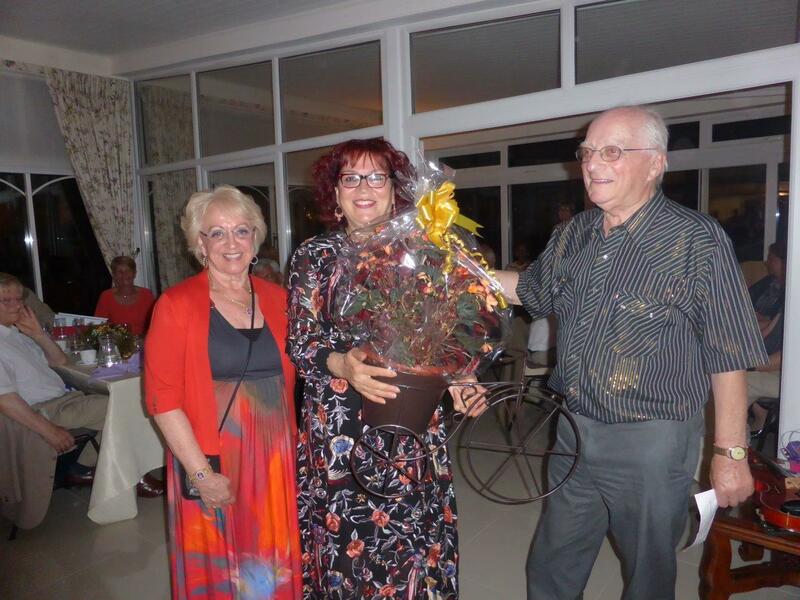 Ingrid Blau, the lucky winner, was supported by three generations of her family and she had great fun dashing around the aisles. She ensured that her family would have a wonderful Christmas. 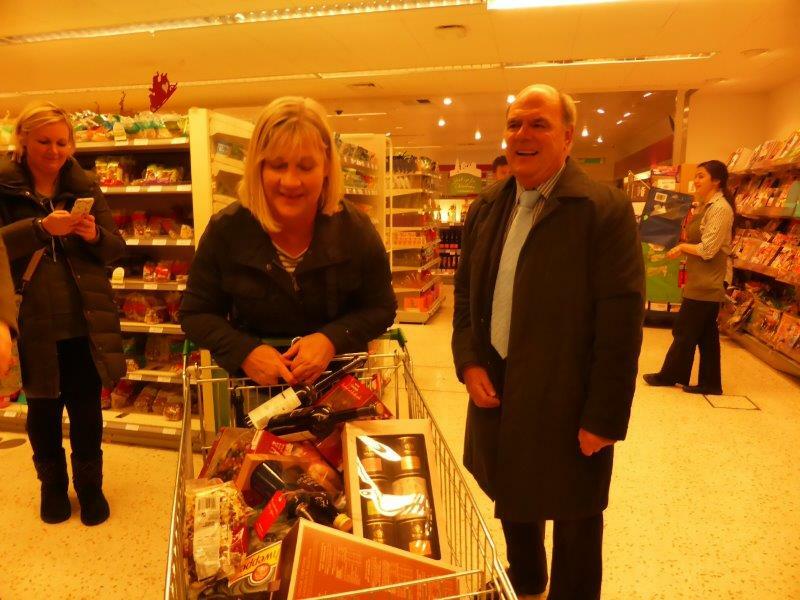 The following pictures clearly depict the sensational time that Ingrid had- She picked up £350 worth of goods in her allocated 2 minutes. Her Christmas Shopping was for sure, complete! The Worshipful the Mayor and Mayoress of Hillingdon, Councillor George Cooper and Councillor Judith Cooper were present and thoroughly enjoyed presiding over the event and together with our chairman Peter Ellis they cheered Ingrid on her way. 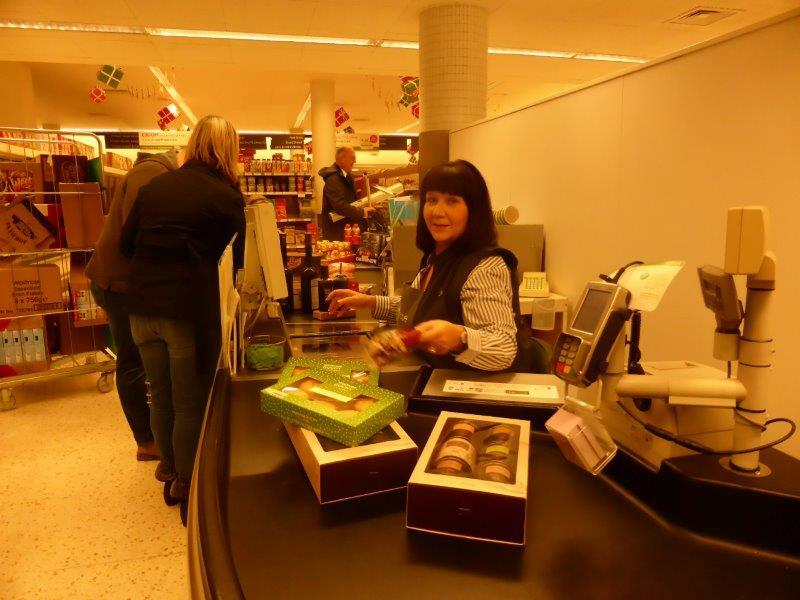 We would like to say a Big THANK YOU to Waitrose in both supporting and accommodating us with this Trolley Dash; Jeanette and Michele for their organisation of the event, Ruislip Lions and all our volunteers who helped to sell the tickets. 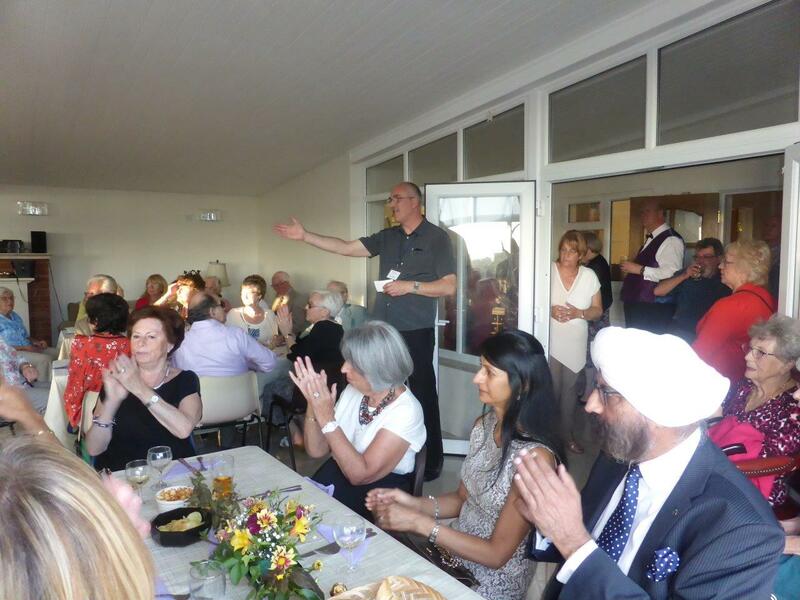 Overall it was a huge success, raising a substantial sum for our charity and we hope to make this an annual event. 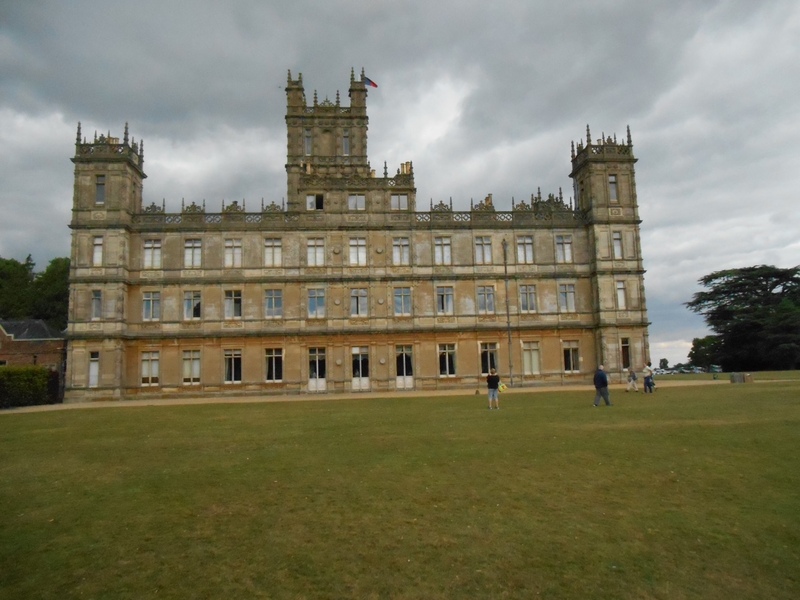 Highclere Castle in Berkshire has attracted a great deal of interest due to the television serie s, Downton Abbey. The castle does not disappoint when you get there. 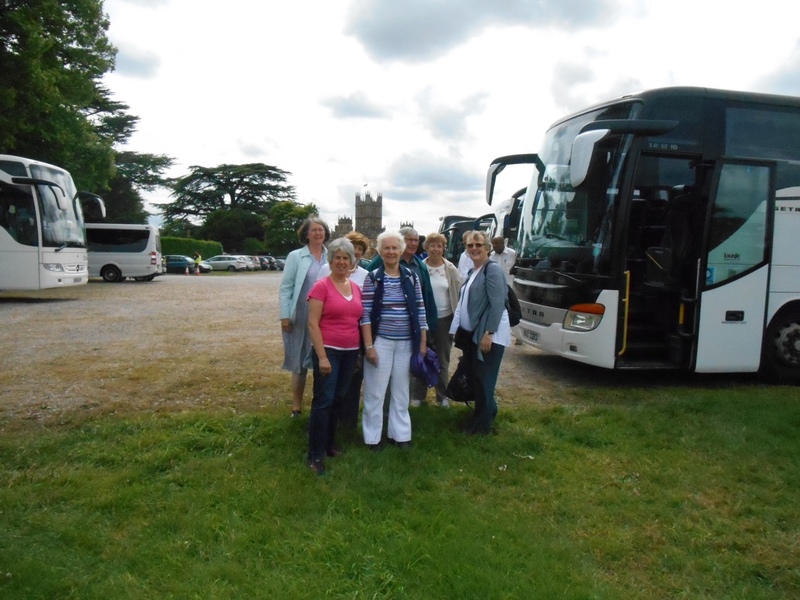 Two coach outings were arranged for the summer of 2015 to Highclere on behalf of Bereavement Care, one on July 23rd and the other on August 27th. All tickets sold out quickly – not surprising when you think that we had to book back in 2013 due to the demand for tickets! The Castle itself is a Victorian castle built in superb landscaped grounds designed by Capability Brown. It is fun to recognise the cedar trees where in Downton the Earl, Robert Crawley, walks his labrador and the staircases in the gothic looking interior where his wife the heiress Cora and their daughters waft around or linger in the drawing room (the “saloon”). It was not just the castle that attracted our party of 52 today, the gardens were also a sight to see. The castle overlooks a meadow garden and a folly and the more formal gardens with the white flowers of the Monks garden and lavender planting of the rest of the garden were a-humming with bees and insects drawn by their colour and variety. Many of us there had time to visit the shop (busy) and the courtyard tea rooms and restaurants and some even fitted in a visit to the Egyptian Exhibition in the cellars of the castle. This exhibition commemorates Lord Caernarvon’s discovery of the tomb of Tutankhamun in Egypt back in 1922 with Howard Carter. A momentous discovery and one which changed the way we understand Egypt. The castle is still lived in by the 8th Earl and his family, very much a “home” as the many family photos testify. In all, we had a marvellous day out, with sun and warmth and a comfortable coach. Just what was needed to make a lovely summer outing.